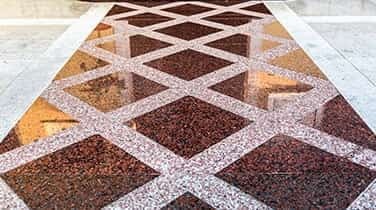 It's important to hire a team for Commercial Marble Cleaning on a routine basis to prevent your marble or granite surfaces from becoming worn, dull, faded, and neglected from essential TLC. Our family owned and operated team at AAA Marble Care is skilled at utilizing modern machinery and high quality precision tools to restore and preserve the vibrant colors and natural shine of your stone surfaces. 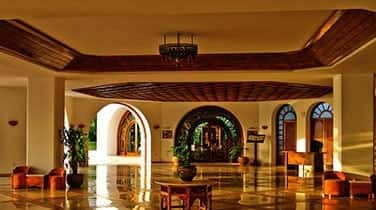 Regular cleaning with harsh chemicals can begin to cloud your marble surfaces, resulting in faded, dull surfaces around your hotel lobby, restaurant, office buildings, educational facilities, nightclub, hospitals, or other commerical space. Our team can offer a FREE consultation right away when you call to get started, as a licensed, bonded, and insured source for professional stone care specialists. On your countertops, tomato sauce and lemon juice can begin to cause etching in your marble. While these natural stone surfaces may seen maintenance-free, the calcium inside the stone can react with acidic substances resulting in etches. Marble floors, balconies, stairways, and patios are also at risk for damages caused by spills, moisture, and heavy foot traffic. 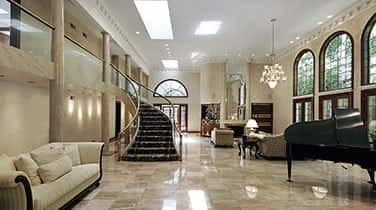 AAA Marble Care can develop a personalized routine for your commercial marble cleaning to fix dullness, remove haze, and enhance the natural color and vibrant unique personality of your stone. We can also repair deep cracks, penetrating gouges, and scratches without leaving behind a mess, damaged property, or even lingering odors. Call today to find out more about the marble and granite at your property and how to care for differing variations in material during your FREE consultation.